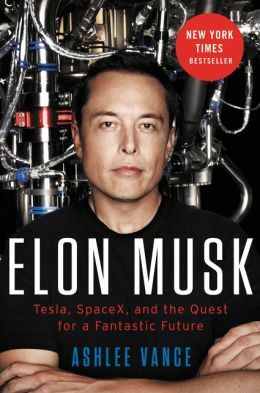 Vance’s Elon Musk biography is informationally good but aesthetically average, or even slightly below average (aesthetics are graded non-linearly). You should read it, though, if for no other reason than because Musk is like a High Elf in Middle Earth at the time of The Lord of the Rings: he seems like he belongs to an other age, and I mean that as an extreme compliment. Even compared to other High Nerds he is extreme, and extreme to an extent I thought I understood but didn’t until this book and maybe not even after this book. The scale of his ambition and achievement is epic—so epic that he attracts haters as rock stars attract groupies. The same sexual energy groupies channel into music haters channel into Musk. Elon Musk reminds us, probably inadvertently, that criticism is easy and achievement is hard. Internet culture makes criticism easy, cheap, and pervasive, but achievement remains undebased. Throughout the book Musk comes across as different from baseline humans; I’m often told that I seem different (and this is rarely meant as a compliment, though even its slightly negative connotation rarely shades to insult), but Musk is way different in terms of values, and in behavior. He tells his then-wife Justine that if she were his employee that he would fire her; as a kid he “seemed to drift off into a trance at times. People spoke to him, but nothing got through when he had a certain, distant look in his eyes. This happened so often that Elon’s parents and doctors thought he might be deaf.” He had a “compulsion to read” and “From a very young age, he seemed to have a book in his hands at all times.” I identify: I have the same problem today, but without the need to constantly innovate and to to beat everyone, everywhere, all the time, at all things. I’m okay with being; Musk, it seems, has never been okay with being. In life there is much superficial talk about values, like what a person wears or eats, but very little about real value, like how a person makes life vastly better through the provision of goods, services, and arts that can’t exist without an individual driving those things into existence. We think of artists as special because they do those things, and technology and business are Musk’s arts. But he cannot act alone: someone like Lucian Freud, as described in Geordie Greig’s biography, can lose friends and alienate people in a way that someone building businesses can’t (and Musk appears not to have Freud’s lasciviousness, which I note as a fact but do not condemn). Musk has that arguably harder task, though it is a task he assumed early and has never wavered from. His Sauron is things wrong with the present, and he is the Aragorn who can set them right, but his battle is more ambiguous and harder to achieve than Aragorn’s. Corporeal foes are rare but attractive to the human mind, while abstract foes are common and ignored. The link between belief and behavior is stronger in Musk than almost anyone else’s. It is common to say that some person overcame “incredible odds,” but Musk really did, and is continuing to do so: the full story is outrageous and its flavor can’t really be gained here, but Vance writes that “As 2007 rolled in 2008, Musk’s life became much more tumultuous. Tesla basically had to start over on much of the Roadster, and SpaceX still had dozens of people living on Kwajalein awaiting the next launch of the Falcon 1.” Things get worse. One or both companies were days away from bankruptcy. During that period his ex-wife, Justine, took him for a shocking amount of money in divorce court; at that time Philip Greenspun and friends’s book Real World Divorce: Custody, Child Support, and Alimony in the 50 States didn’t exist, but too many stories like Musk’s drove its creation. If we had any on-the-ball literary agents, they’d be selling Real World Divorce to conventional publishers. The most interesting question raised by Elon Musk may not be about Musk’s psychology, but about the psychology of his haters (sometimes Vance comes across as one: the book’s introduction is terrible, and there is some idiotic commentary on pages 347 – 350 that I’m not going to further address). Something drives people to root for the failure of others. Legions of assholes, at Valleywag and elsewhere, have wanted, gleefully, to see SpaceX and Tesla fail. The reasons for this are strange: both companies may reshape human life for the ambiguously better. Why root for someone who is doing unalloyed good to fail? I don’t have a good answer. I’m not sure anyone does. An unfortunate by-product of success is a greater amount of public criticism. Once you make it to the mid-stage, you may start to become well known, especially if you have a consumer product. Two things can happen at this point with the public that always catch founders by surprise: first, complete strangers will start to assign bad intentions to everything you do. Second, the media will only be interested in one thing about you: controversy. Because controversy equals page views. No actual controversy? No problem; they’ll manufacture some. You can’t prevent yourself from being a target. It’s an automatic consequence of being successful. So the best you can do is react in the right way when people attack you. To some extent you have to resign yourself to letting people lie about you. You can’t engage with every crazy hater or troll. But sometimes you do need to react, especially if something happens that makes more people angry at you than usual. So someone should be watching Twitter, but perhaps not the CEO. Musk has been willfully misinterpreted by too many people with big megaphones. He has been misinterpreted at least somewhat by Vance, whose journalistic inclination to want to see both sides, even when one side is wrong, occludes his vision. The first pages of the biography wrongly give doubt too prominent a place. I will note that I wouldn’t want to work for Musk’s companies: I don’t have the temperament for 80-hour weeks in pursuit of any cause, however amazing, and his level of abrasiveness would make me quit. Whatever the flaws in his methods, they are effective. Towards the end of the essay Livingston says that companies must above all else “Ship great things.” Musk does that, and, more amazingly, he ships great things that are made of atoms, rather than things made of bits. Awe should have a prominent place in stories about him. Awe has been evacuated from much of modern life, but it still exists in human-dwarfing technical projects. Too bad we so rarely stop to feel it. Like many successful (and presumably unsuccessful) alpha nerds, “Elon’s constant yearning to correct people and his abrasive manner put off other kids and added to his feelings of isolation.” Nerds care more about being right than liked (though this can be comical when they’re determined they’re right and they’re, or when they’re dealing with indeterminate problem spaces like social life). We find that Elon’s parents divorced but little about what might be the real reasons why they did. His school experience was horrible, though at least it appears he wasn’t raped, as was apparently somewhat common at British boarding schools for a long time. He worked as few others do (something he has in common with Kelly Johnson). Extreme achievement often or maybe always requires extreme effort, which is an underappreciated point, especially in contemporary political discourse. One person said, “Elon was the most straight-laced dude you have ever met. He never drank. He never did anything. Zero. Literally nothing.” Except, apparently, “video game binges.” At Zip2, his first startup, “Musk never seemed to leave the office. He slept, not unlike a dog, on a beanbag next to his desk.” The metaphor is again her interesting and maybe misplaced. That said Musk isn’t today and wasn’t then a messiah: “Musk feel into the classic self-taught coder trap of writing what developers call hairballs—big, monolithic hunks of code that could o berserk for mysterious reasons. The engineers also brought a more refined working structure and realistic deadlines to the engineering group.” In searching for a business, he thought that, based on working at the Bank of Nova Scotia, “bankers are rich and dumb [. . . which] had the feel of a massive opportunity.” A few pages later: “He had an inkling that the bankers were doing finance all wrong and that he could run the business better than anyone else.” Yet the big banks are still with us, and while Paypal has been reasonably successful it hasn’t displaced big banks and if anything the big banks are bigger and richer. Musk also favored Microsoft servers for a startup, which is totally bizarre, then or now, and X.com (Paypal’s predecessor) almost failed due to technology problems. The relationship between Musk and his ex-wife, Justine, became sordid, and to be fair however much I admire Musk I wouldn’t want marry him. Oddly, too, years ago I read Justine’s novel Bloodangel, but it wasn’t any good. Here is one okay review from Slate. So far almost all the commentary I’ve seen on Elon Musk: Tesla, SpaceX, and the Quest for a Fantastic Future has been by people who miss the plot. There are better essays to be written. As so often happens journalists are letting us down, but then again they’re letting us down because we let them let us down. « *Do* we need Shakespeare?